Travelling can be hard going for even the calmest of skins - a sudden change in climate, very hot or humid conditions, the sun's UV rays and the plane journey itself to get there can really throw your skin off-balance. I've travelled pretty extensively, so I've picked up some hero products along the way which keep my skin calm, hydrated and protected. 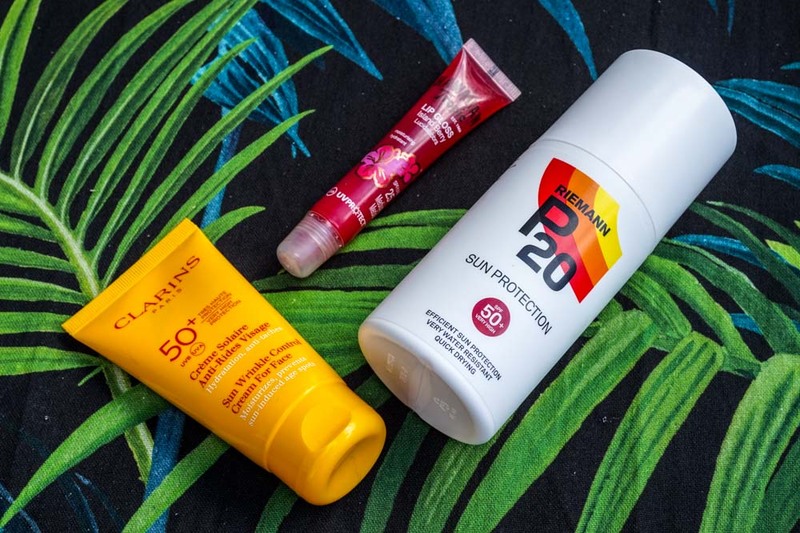 So whether you’re planning a weekend away, a week in the sun or going backpacking, here are my hero skincare products that I recommend you take with you. 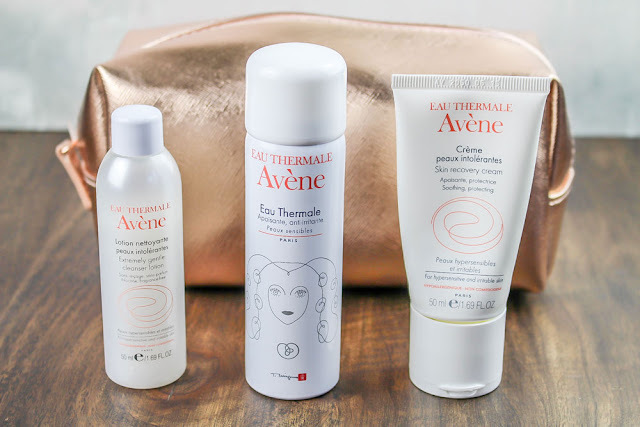 I discovered the Avene range after my skin reacted to some products I was testing for a blog review - it's a brand which is mid-range pricewise and one that I would describe as specialised - their 'thing' being all the products contain natural spring water and specifically deal with sensitive skin. You can buy the products individually or they have a starter kit specifically for ‘super sensitised’ skin which contains 2 x 50ml Cleansers, the equivalent of a Toner spray and a full-size Moisturiser - for £20 which is great value considering the moisturiser on its own is normally £13.50. 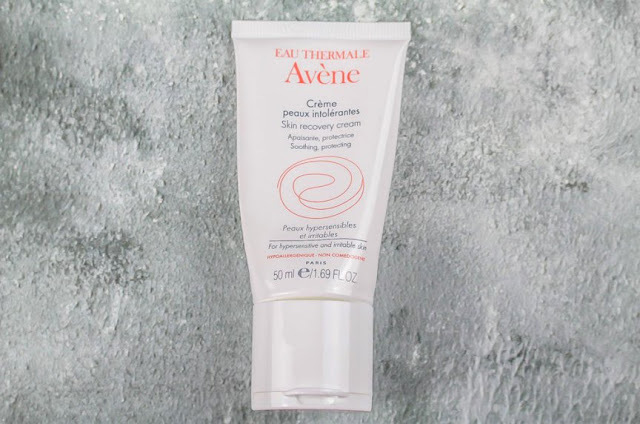 The product claims: "… this gentle routine contains all the steps needed to soothe, comfort and protect the skin and helps to reduce skin sensitivity long term." 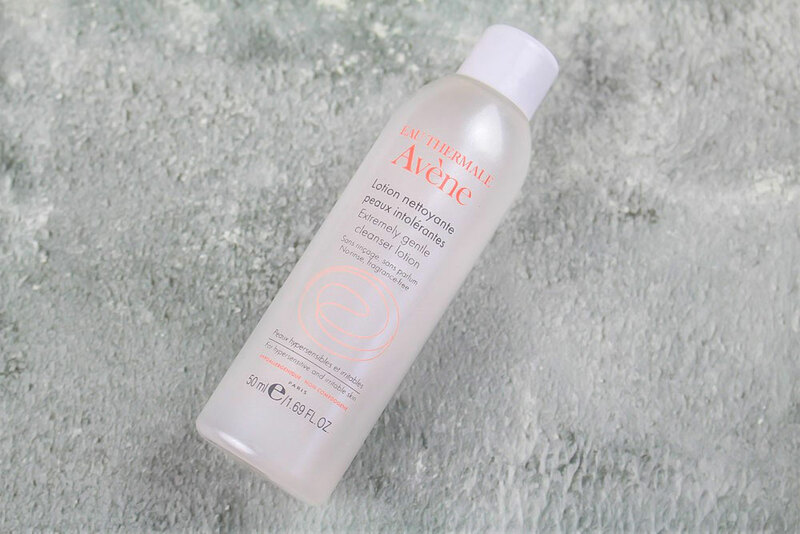 Extremely Gentle Cleanser Lotion - ‘…very gentle, plant-based cleansing agent’….that is calming and reduces skin reactivity'. You are meant to apply this cleanser and wipe it off with cotton wool, but personally I’m never a big fan of cream cleansers and prefer to use a cloth and water so that’s how I use it. I apply the cream onto my skin with dry hands and just wipe it off with a warm, soft cloth. This stuff is super gentle but amazingly it still dissolves even waterproof mascara! 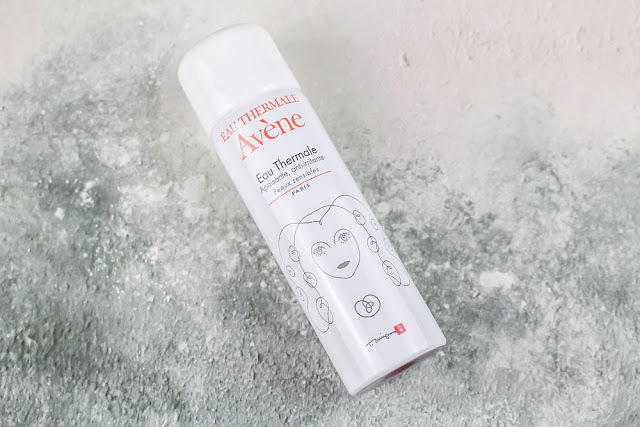 Thermal Spring Water Spray (Toner) - ‘You will feel wrapped in soothing softness…..the gentle purity of Avène Thermal Spring Water provides you with long-lasting protection.’ I was a bit dubious about just spraying water on my face and whether it would actually do anything - but this stuff is magic! A super fine mist which is instantly so calming after the heat and steam of a shower or after you've been in the sea, it relieves any feeling of tightness or irritation. The small can is perfect for taking on a plane to spritz your face every couple of hours during a long flight and is also available in a large 300ml can - so if you aren't going hand luggage only I would thoroughly recommend taking the larger option too as this product is very moorish! Skin Recovery Cream (Moisturiser) - ‘Rapidly calms irritations and gives long-lasting protection to naturally sensitive skin or skin that has become irritable’. The cleverest product of them all, this light lotion feels super silky as you spread it over your face - it's very comforting, although there's no fragrance so it's not a pampering product to use - but it doesn't smell medicinal either. I use it both morning and evening and a little goes a long way. There’s also a ‘rich’ version of this cream for people with very dry skin. It feels like it took me forever to find the right facial sunscreen! Some of them are too sticky under make up and others are chalky, but finally 4 years ago a beautician in Spain recommended the Clarins Sun Wrinkle Control Cream For Face and I haven't used anything else since. If you are a little on the oily side, I wouldn't bother using moisturiser beforehand but if you have normal to dry skin, using a little moisturiser as usual before applying this is absolutely fine and make up sets really nicely on it too. It gives Factor 50 protection and is specifically anti-ageing too – WIN WIN! Body - this Riemann P20 (F50) Sun Protection Spray is incredible, it's literally revolutionised my routine in the sun. You apply it before anything else goes on your skin, let it bond with the epidermis for 15 mins, get dressed and head out for the day. You can swim as many times you like, it gives you Factor 50 protection all day - but it's not a sunblock so you still tan! I can't tell you how much easier it is as a fair skinned person to not have to keep reapplying sticky products every couple of hours. It's still totally suitable for somebody with darker skin and they do a Factor 20 option also if you would prefer that. Good old Savlon - no, not for if cut your finger or get bitten by a mozzie (although obviously it's great for that) but if you have any kind of reaction, texture or dry patches on your face from the sun it calms, moisturises and helps it heal quicker - it's nice and light so just apply it over your whole face as a moisturiser! 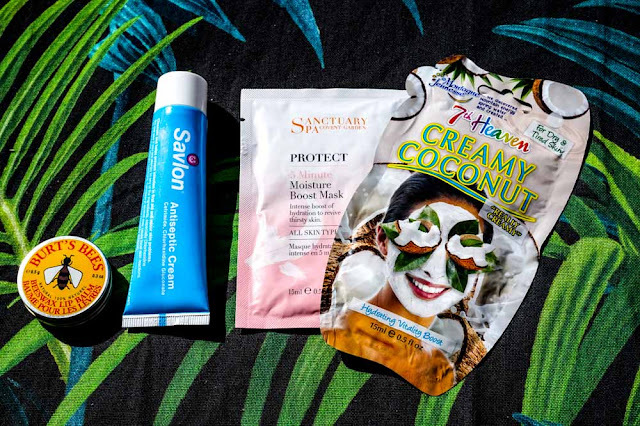 A gentle face mask - I always take a couple of sachets with me, the Sanctuary Moisture Boost Mask and the 7th Heaven Creamy Coconut are 2 of my favourites (use once or twice a week depending on how dry your skin is). And finally for your lips - the classic Burts Bees Beeswax Lip Balm is so great for travel being in a little tin and its really effective - keep it by your bed and pop a little on each night to prevent your lips from drying out from all that sunshine! So that's it, all you need to keep sensitive skin looking beautiful and have that proper holiday glow! Hi I'm Tiffany, a 30+ UK Blogger with a love of Interiors, Fashion, Beauty & Adventures. Photography is a real passion of mine so blogging gives me the chance to take creative pictures of things that I love like clothes, home decor and gorgeous beauty products! I write about all of those things as well as general life stuff including some of my travel tales - anything that I think gives you inspiration for a more beautiful life! I have perused your online journal it is exceptionally useful for me. I need to express profound Swansea weather gratitude to you. I have bookmark your site for future redesigns.